Fishing is allowed in the Virgin River in Zion National Park as long as you have a current Utah fishing license which can be obtained at many of southern Utah's sporting goods stores. 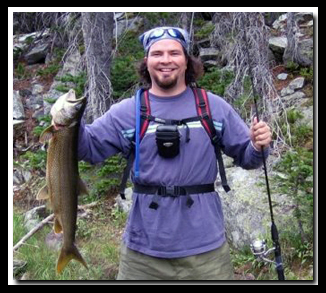 Laws vary in Utah so pick up a Utah Fishing Proclamation or inquire where you pick up your license. 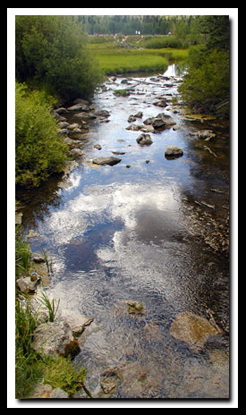 Both the East Fork and the North Fork of the Virgin River have cutthroat trout, rainbow, brown and brook. Located high atop the Markagunt Plateau, along SR-14, 22 miles southeast of Cedar City, is the Navajo Lake recreation area and Duck Creek. These lakes and streams are the place to fish for all four types of trout; rainbow, german brown, brook and cutthroat trout. The lake was named from a violent encounter between Cedar City cattlemen and a Navajo Indian raiding party back in the 1800's. The popular hikes Cascade Falls and the Navajo Loop Trail begin at Navajo Lake. From Hwy 14, turn on the signed road near Milt's Stage Stop, just a few miles from Cedar City and drive about 20 miles on the mostly gravel road. From Virgin, take the Kolob Reservoir Road through Zion's Kolob Terrace, driving a little more than 24 miles to Kolob Reservoir. 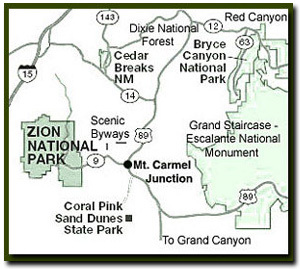 SR-14 from Cedar City to the junction at US-89 is one of the most traveled byways in the Southern Utah area. Dixie National Forest's two million acres of forest, ponds, lakes and mountains that stretch across Southern Utah make prime spots for fishing. Two of the favorites on Cedar Mountain are Navajo Lake and Duck Creek. Photo: Duck Creek is a charming fishing area located on beautiful Cedar Mountain in Dixie National Forest. Duck Creek Village is near Duck Creek and the only place on Cedar Mountain with services. There are several options for camping on the mountain.